Jammu, Aug 4 (IANS) The intruder who was shot dead by security guards for breaching security at the Jammu residence of former Chief Minister and Lok Sabha member, Dr. Farooq Abdullah on Saturday, did not carry any weapon, police said. Murfad Hussain Shah, 26, breached the outer security ring at Farooq Abdullah's Bhatindi area residence in Jammu around 9 a.m.
"He rammed his black SUV with the gate and entered the residence ransacking everything that came his way. "He also had a scuffle with one of the security personnel who received injuries. "The intruder was finally shot by a security guard on the stairs leading to Abdullah's bedroom," a police officer said. The intruder belonged to Poonch district. The intrusion was definitely not intended to cause any physical harm to Abdullah as the intruder did not carry any weapon. Abdullah was not present at his residence when the intrusion occurred. "The reason for the extremely irresponsible and dangerous act by the intruder is still being verified," the officer said. Immediately after the death of the intruder, his weeping and wailing sister appeared at the gate of the VVIP. Abdullah has Z-plus security and is protected by the National Security Guards (NSG). Few other VVIPs in the country have the NSG deployed as their personal security. 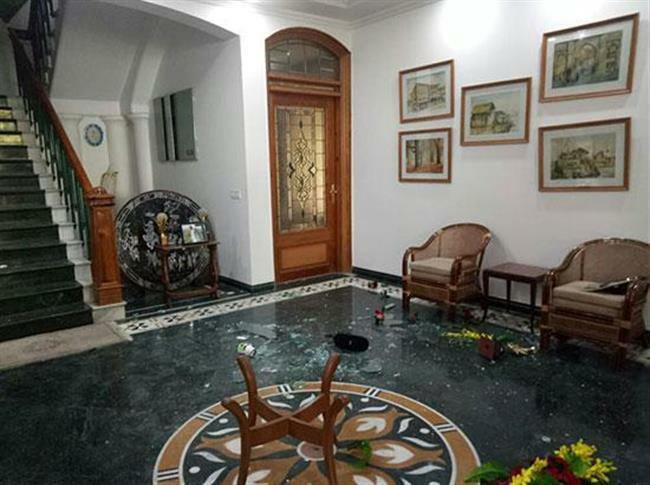 Former Chief Minister Omar Abdullah, tweeted: "I am aware of the incident that took place at the residence my father and I share in Bhatindi, Jammu. Details are sketchy at the moment. Initial reports suggest an intruder was able to gain entry through the front door and into the upper lobby of the house."